Mr. Tew, reported missing earlier today, has been located. He will be assessed medically and reunited with his family. Thanks for RTing. Vancouver Police are asking the public to help locate a missing elderly man, who may be confused due to a recent head injury and the early onset of dementia. Fred Tew, a 93-year-old Vancouver man, was last seen today just before 10 a.m., at a bus stop in front of the Esso gas station at Burrard and Davie Street. It is not known if he was picked up by a bus or not. Mr. Tew is white, 5’7” tall, has blue eyes, and is bald with a bandage on his scalp. He was last seen wearing a dark blue baseball hat, light blue leather jacket, dark grey sweater, blue pants, and blue shoes. Anyone who sees Mr. Tew is asked to call 9-1-1 and stay with him until police arrive. This alert, "CANCELLED: 93 y/o Fred Tew near Burrard and Davie Street" imported on 2019/04/15 22:07 was originally posted to the "VPD Media Releases" web site and is provided here for alerting purposes. Please see the original post for authoritative information and updates on the missing person. 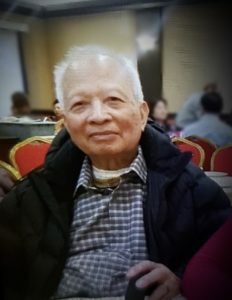 The Vancouver Police are asking for the public’s help in locating a missing 91-year-old man who was last seen this morning on Vancouver’s Westside. Edmond Marks, who is partially blind and suffers from dementia, left his home today at around 9 a.m., near Cambie Street and 10th Avenue. Mr. Marks has not been seen or heard from since. It is unusual for him to be gone for this long. Mr. Marks walks with a silver cane, and is known to head to local grocery stores and shops near his home. He is white, 5’4″ tall, with a slim build, and short grey hair. Mr. Marks was last seen carrying a black canvass bag and wearing a black jacket, black pants, tan-yellow shoes, glasses, and a black cap. Anyone who sees Edmond Marks is asked to call 9-1-1 and stay with him until first responders arrive. This alert, "CANCELLED: Missing 91 y/o Edmond Marks" imported on 2019/04/12 01:45 was originally posted to the "VPD Media Releases" web site and is provided here for alerting purposes. Please see the original post for authoritative information and updates on the missing person. 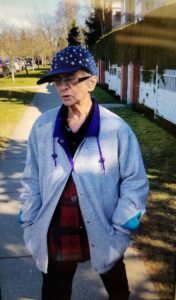 Vancouver Police are asking for the public’s help in locating a missing elderly woman with dementia, who was last seen this afternoon on Vancouver’s East side. Eighty-year-old Therese Mongrain, also known as Therese Massiotte, was last seen today just after 1:30 p.m., walking near Walden Street and East 36th Avenue. Although slow, Ms. Mongrain likes to walk long distances. Ms. Mongrain is 5 feet tall with a slim build, and short white hair. She was last seen wearing a blue sequined hat, dark pants, a dark shirt, and thin, black-rimmed glasses. Ms. Mongrain is French-Canadian but speaks English. Anyone who sees Therese Mongrain, is asked to call 9-1-1 immediately and stay with her until first responders arrive. This alert, "CANCELLED: Missing 83 y/o Therese Mongrain near Walden Street and East 36th Avenue" imported on 2019/04/08 04:41 was originally posted to the "VPD Media Releases" web site and is provided here for alerting purposes. Please see the original post for authoritative information and updates on the missing person. Trevor Kavanagh, reported missing last night, has been located, safe and sound. Thank you for the RTs. 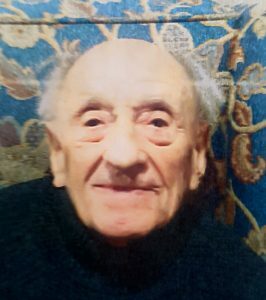 Vancouver Police are asking for the public’s help to find 96-year-old Trevor Kavanagh, who was last seen early this evening near Vancouver General Hospital. Mr. Kavanagh left VGH at around 4:45 p.m. and was last seen walking near West Broadway and Laurel Street. He has dementia and requires medication. Mr. Kavanagh is white, 5’2″ tall, has a slim build, and balding white hair. He is believed to be wearing a brown sweater and black pants. He uses a cane and has a hearing aid hanging around his neck. Anyone who sees Trevor Kavanagh is asked to call 9-1-1 and stay with him until first responders arrive. This alert, "CANCELLED: Missing 96-year-old Trevor Kavanagh" imported on 2019/03/30 05:57 was originally posted to the "VPD Media Releases" web site and is provided here for alerting purposes. Please see the original post for authoritative information and updates on the missing person. Vancouver Police are asking for the public’s help in locating 84-year-old Norman Joe. He has Alzheimer’s and was last seen at 11 a.m. on Tuesday near Cambie Street and West 45th Avenue. Mr. Joe is Asian, 5’10”, has a medium build, gray hair and primarily speaks Cantonese. He was last seen wearing black jeans, a black hat, and was using his cane. Anyone who sees Norman Joe is asked to call 9-1-1 and stay with him until first responders arrive. This alert, "CANCELLED: Vancouver Police Search For Missing Senior With Alzheimer’s" imported on 2019/03/27 04:30 was originally posted to the "VPD Media Releases" web site and is provided here for alerting purposes. Please see the original post for authoritative information and updates on the missing person. CANCELLED: Glen McKim missing nr Granville Is. Vancouver Police are asking for the public’s help to find 67-year-old Glen McKim. He was last seen today at 2 p.m. in the area of Granville Island. Mr. McKim has a number of medical issues, including dementia. Mr. McKim is white, 5’8″ tall, has a medium build, and balding salt-and-pepper hair. He was last seen wearing a grey jacket over a grey shirt, and black pants. Anyone who sees Glen McKim is asked to call 9-1-1 and stay with him until first responders arrive. This alert, "CANCELLED: Glen McKim missing nr Granville Is." imported on 2019/02/18 03:42 was originally posted to the "VPD Media Releases" web site and is provided here for alerting purposes. Please see the original post for authoritative information and updates on the missing person. Vancouver Police are asking for the public’s help to find an 87-year-old woman with dementia, who is missing from her care facility in Downtown Vancouver. Christina Wallace was last seen by staff at her care home on West Pender Street near Homer Street just before 9 a.m. on Feb. 09. Ms. Wallace has been known go missing in the past but was usually found a short time later. Care home staff became concerned yesterday evening when they had still not found her and called police early this morning. Ms. Wallace is indigenous and approximately 5’3” tall. She has a medium build, short grey hair and brown eyes, and walks with a walker. Anyone who sees Christina Wallace is asked to call 9-1-1 and stay with her until first responders arrive. This alert, "CANCELLED: 87 y/o Christina Wallace missing near West Pender Street & Homer Street Vancouver" imported on 2019/02/10 13:00 was originally posted to the "VPD Media Releases" web site and is provided here for alerting purposes. Please see the original post for authoritative information and updates on the missing person.